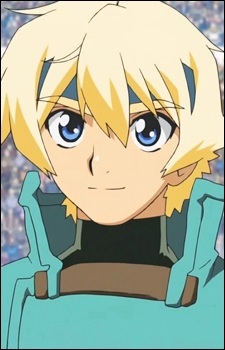 Lief is the boy protagonist of the Deltora Quest series. He used to live as the son of a blacksmith close to the capital of Del. He is (as Barda describes him) 'a young hot-head' and spends the time he didn't have to spend on studying roaming the streets and both tempting and dodging trouble. On his 16th birthday his father requested him to find the seven magical gems missing from the powerful belt of Deltora which used to protect the country and the Heir destined to wear it. He leaves Del soon after being accompanied by Barda. Very soon he finds himself in trouble again, this time, getting saved by the isolated girl named Jasmine, who later on joined his squad. Lief is tempted in many ways and by the end of the anime we see that he has not only grown in his bravery and strength, but also in his wisdom and patience. He is, as shown in his journey through the shifting sands, afraid of being (left) alone. In the end of the anime it is shown that he is the son of Endon and thus, the true heir of the throne. Leading him to become the next king.